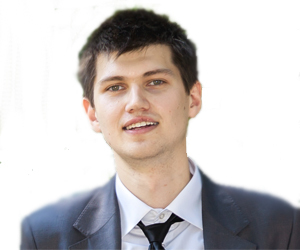 My name is Evgeniy Garkaviy and I work in the webmaster world. My home is in the Eastern part of the Ukraine but not very close to Donetsk and Lugansk. I graduated from Poltava Teacher Training University, department of Mathematics and Computer Technology. Can’t say that I learned a lot there about my current profession, but some basic knowledge has been very useful. I started my online career with Temi Odurinde more than 2 years ago. I must say that I’m very glad to have met him. He is an excellent boss, teacher, and now, a friend. During this period, we have launched many online projects. Some of them were successful; some of them were shut down. Probably one of the most difficult periods came about when Penguin appeared. This algorithm affected some our bigger projects and we had to find other ways to make a regular income. During these 2 years, our SEO strategy changed a lot and helped to continue our work on ambitious projects. Temi.co.uk is one of them. This site was launched by Temi 11 years ago and, when we have time; we prefer to spend it by creating nice articles, tips or tutorials for this site. I have learned a lot in the SEO/webmaster world. However, my current knowledge covers much wider aspects of online marketing. At the end of 2013, I successfully passed Google’s exams to become Adwords certified partner. On this blog, I will try to share the knowledge I have acquired with you. In addition, always feel free to ask me for quality advice and tutorials when needed. If you can’t catch me for a while, it means I’m currently working on other important projects. However, I will always get back to you as soon as possible. When I am not working, I like to spend my time with family and friends. Last year (2013), I got married and now enjoy having a great life with my beautiful wife. Also, I am a big sports fan. I play volleyball and basketball and, every summer, we play football because our volleyball location is not open during the summer months. In addition, I enjoy watching televised sports. I’m fan of Italian Series A but like to watch other leagues as well. I would love to watch NBA, but it is not convenient for me due to different time zones. You might call me a political expert, too. Every day I spend some time reviewing recent political news. I think that most people in the world do not have an extensive knowledge about the Ukraine, but it is the biggest country in Europe with a population of 46 million. So, as you can see, there is a lot to be learned about this country and I am proud to be a part of it. Perhaps you will learn a few things about the Ukriane along the way. Thank you for taking the time to read about me. I look forward to interacting with all you.